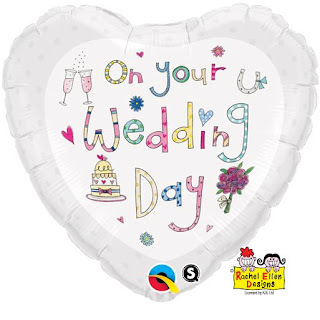 With over a thousand balloons on our website and in our shop, you can image it's hard to pick a favourite but we adore one of our new ranges this year. 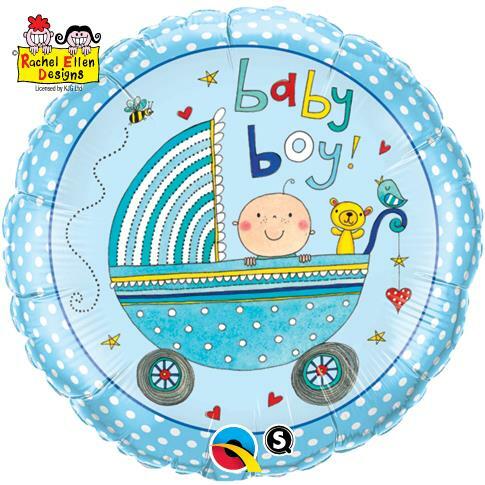 Rachel Ellen's fantastic illustrations now feature on a whole range of round and heart foil balloons and add a huge splash of colour to our collection. 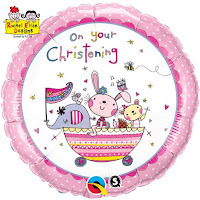 The range is exclusive to Qualatex, one of our favourite balloons suppliers because of their high quality, and includes some new illustrations alongside well known pieces from her portfolio. 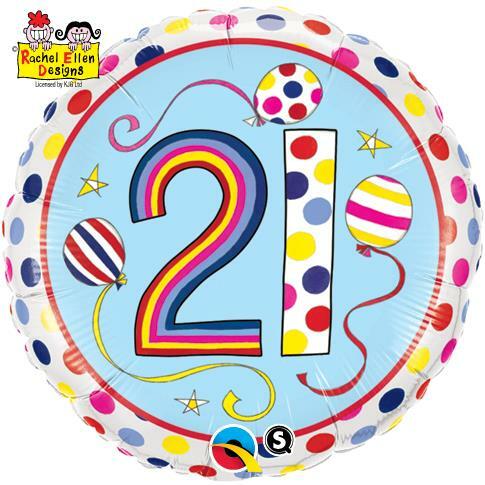 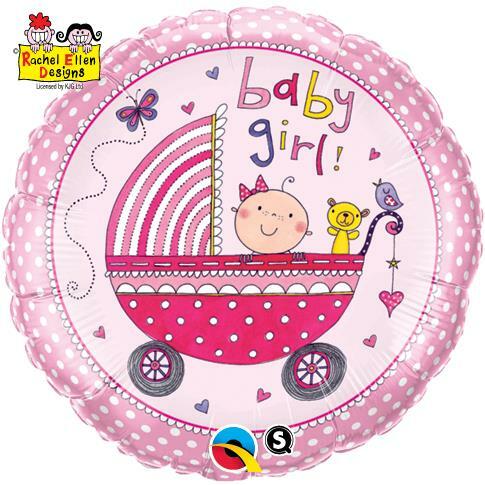 All the balloons are just £2.49, click here to see them on our site. 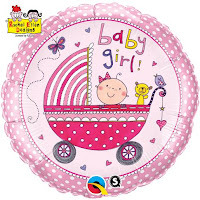 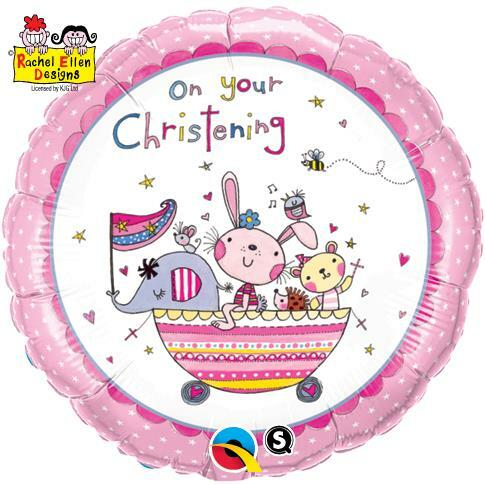 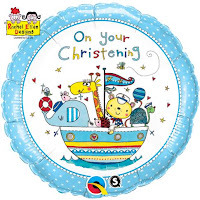 Ideal for the younger ones are the 'On Your Christening' and 'Baby Boy/Girl' balloons. The christening balloons feature a colourful boat of delicately drawn animals and the baby balloon shows a young baby in a patterned pram. 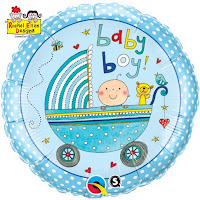 We love the little touch of the bumble bee and butterfly. 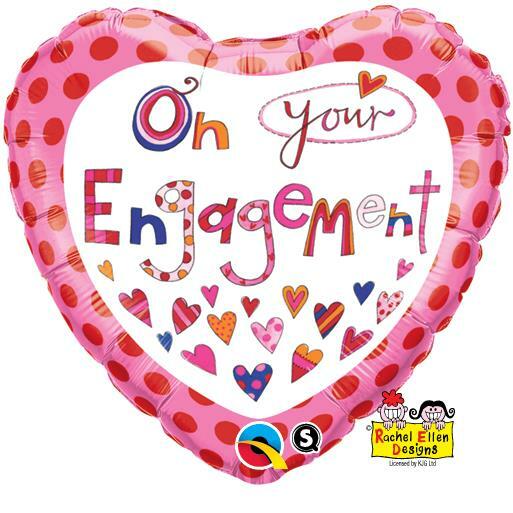 There's a heart shaped balloon especially for celebrating an engagement and it features lots of patterned and colourful hearts. The heart shaped balloon for a wedding is in a delicate and soft white with a fun and quirky font spelling out 'On Your Wedding Day'. 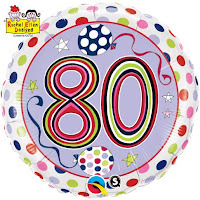 There's also some little illustrations of flowers, a horseshoe, a cake and some clinking champagne glasses. 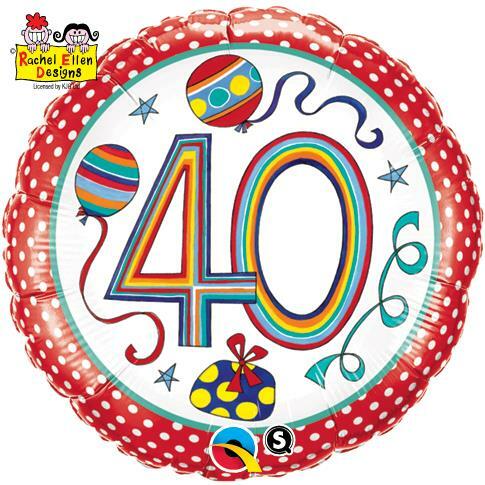 Rachel's also come up with some exciting illustrations to make milestone age balloons all that more exciting! 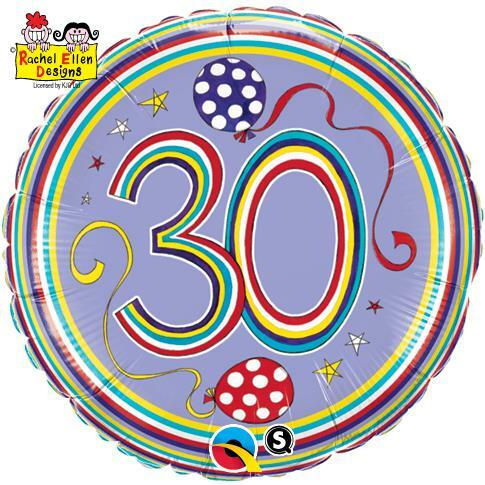 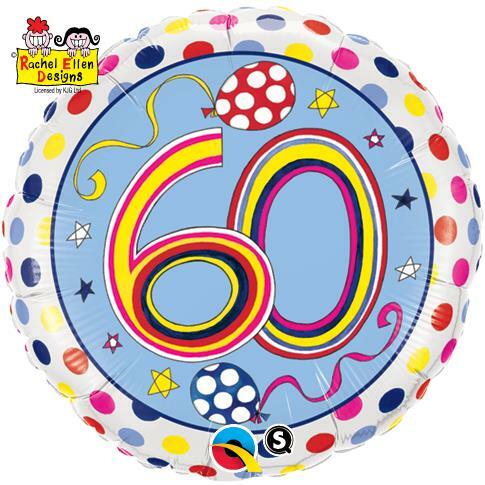 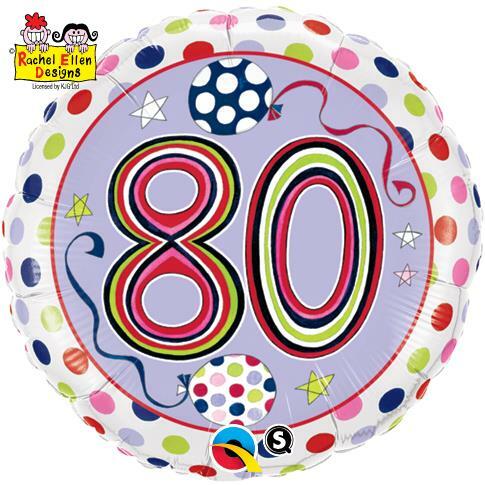 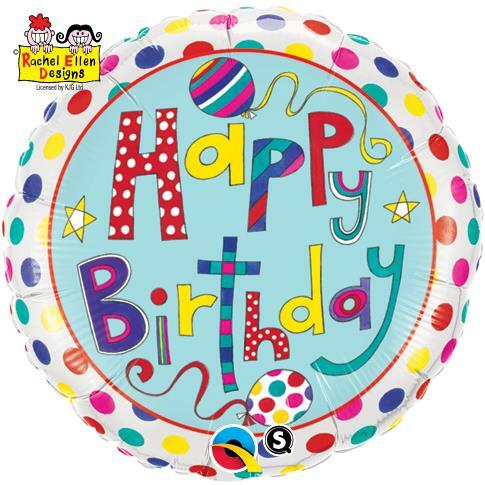 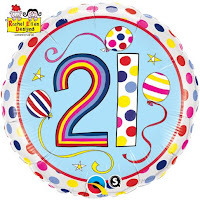 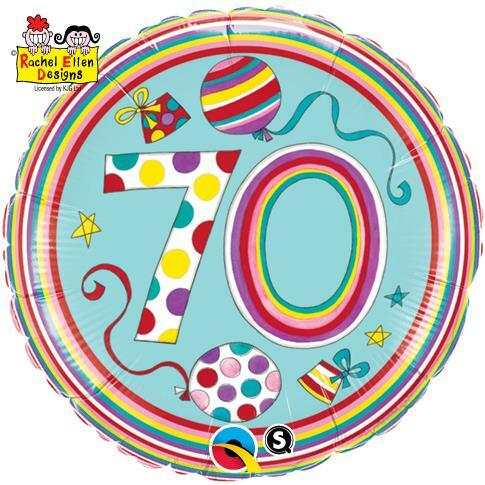 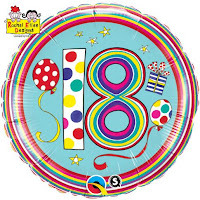 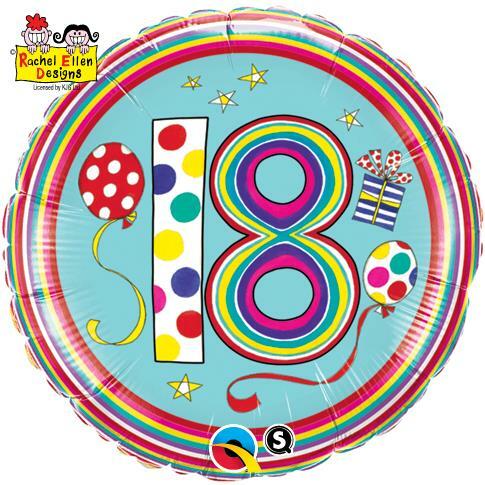 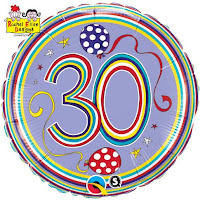 Anyone would be pleased to receive a gorgeous bright round birthday balloon. 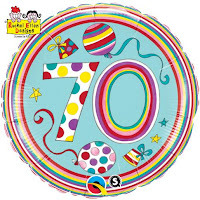 I love how they all have spots or stripes round the edges too. 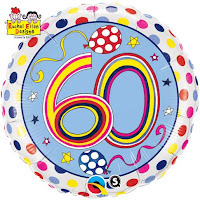 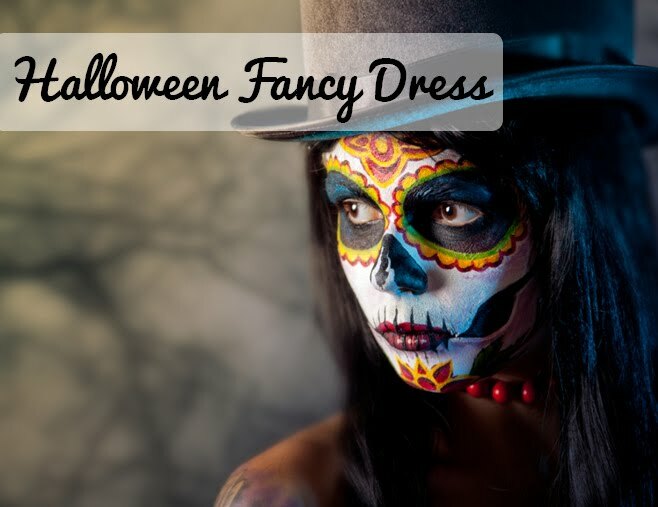 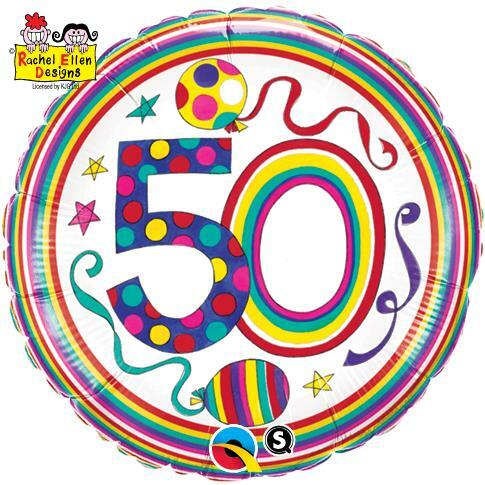 Choose from 'Happy birthday, 18th, 21st, 30th, 40th, 50th, 60th, 70th or 80th. 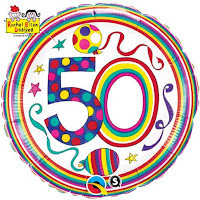 You could double up and use the 30th for a pearl anniversary, the 40th for a ruby anniversary, the 50th for a golden anniversary and a 60th for diamond anniversary.